A friend of ours tells of walking miles to this little spring as a child to get water for his family. I look at it and cannot imagine. Yet, compared to many places in the world, this is indeed clean and fresh water. Something as simple as water, taken for granted here in America, is so precious. Thank God for clean fresh water to drink and the Living Water that quenches our thirst both now and for eternity. If you've not met the Living Water yet, his name is Jesus. He is the son of the Creator, the Living God. Romans 3:23 says, "All have sinned." Romans 6:23 says, "The wages of sin is death; but the gift of God is eternal life." Romans 10:13 says, "Everyone who calls on the name of the Lord will be saved." "Heavenly Father, I believe that Jesus died on the cross for me and rose again. I give You my life. I want Jesus Christ to come into my life and into my heart. Amen." If you believe what you've said, you are now saved. You may begin your relationship with Jesus. A good place to start is to get a Bible and read the book of John. Pray, ask God to lead you to a good Bible teaching church. Laura, I know that we are so blessed and take so many things, like water for granted. I count my many blessings every day. I too am thankful that I know that Jesus is my Savior and I try to live by his teachings. Thanks so much for sharing with Share Your Cup. Being thankful has to be intentional or we will overlook all our blessings, even a cool glass of water to drink and the saving grace given so freely. Thank you for the reminder and for sharing at WJIM. I'm sure there are many things I take for granted but I definitely don't want to do so. I'm so thankful I have The Living Water. I can't imagine living a day without Him. 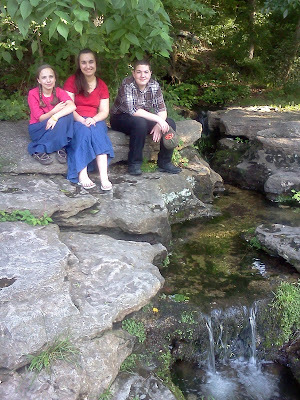 Great post that tells exactly how to have that Living Water! Thanks for sharing and for participating in Faithful Friday! I appreciate how you share Christ on all honesty and sincerity. Thank you, Debbie. I feel honored. On your blog tonight just milling around :) THIS is my new fav page! & thanks for stopping by my blog earlier!! !